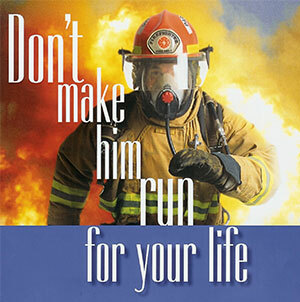 The JATC governs all training for Sprinkler Fitters Local 669. This encompasses our more than 10,000 active journeyperson and more than 2,000 apprentices. In this section of the site you can find a great deal of information regarding our upcoming classes for our members as well as information on how to join the Apprenticeship. Click here to be directed to JATC website. The JATC reviewed the recently issued NFPA 25 Tentative Interim Amendment (TIA log # 1287) on Electrical Safety in Fire Pump Controllers. Many of our Members perform Fire Pump Tests which up until now have included going into Controllers to obtain Amp and Volt readings. We are in full support of the new NFPA 25 codes that reflect Amp and Volt readings only need to be recorded where an external means is provided. At no time should we be entering into an energized Controller. As required by NFPA 20 there is no disconnecting means for the power entering into a Controller. The JATC recommends that all Contractors follow the intent of this NFPA 25 Code. The JATC also recommends that all Members only take the Amp and Volt readings when an external means is provided. Road Sprinkler Fitters Local Union 669 is a nationwide local union. This gives the members of Local 669 the flexibility to work in almost any part of the United States they would like to seek employment. The career of the Sprinkler Fitter can provide a range of opportunities for achievement. Once an apprentice successfully completes the apprenticeship program and becomes a Journeyman, many opportunities lie ahead. You can work as a foreman, move up to superintendent or even move into management with a company. On the other hand, you can strive to continue building on the most respected labor unions in the construction industry. Being identified as a Sprinkler Fitter is both rewarding and fulfilling. The principle function of a Sprinkler Fitter is the installation of Fire Protection systems. This includes underground supply piping, which is connected to an integrated overhead piping system for suppression of fire. Safety is first and foremost; therefore you will be trained in the care and proper use of tools and equipment. These will range from pipe wrenches and pipe threading machines to welding equipment and man lifts. WCC, sprinkler fitter union extend apprenticeship training contract. Click here for the full article.